Sustainable Food, Energy, and Water Systems (SFEWS): Rakesh Agrawal, Purdue University, and Aavudai Anandhi Swamy, Florida Agricultural and Mechanical University. 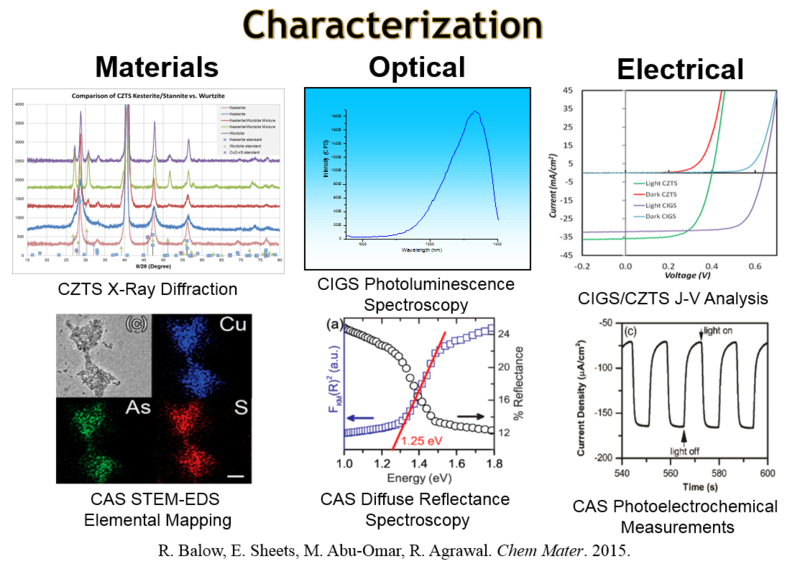 The Rakesh Agrawal Research Group consists of three sub-groups each focusing on different fields of research: Solar Energy (Photovoltaics), Energy Systems Engineering, and Separations Optimization. 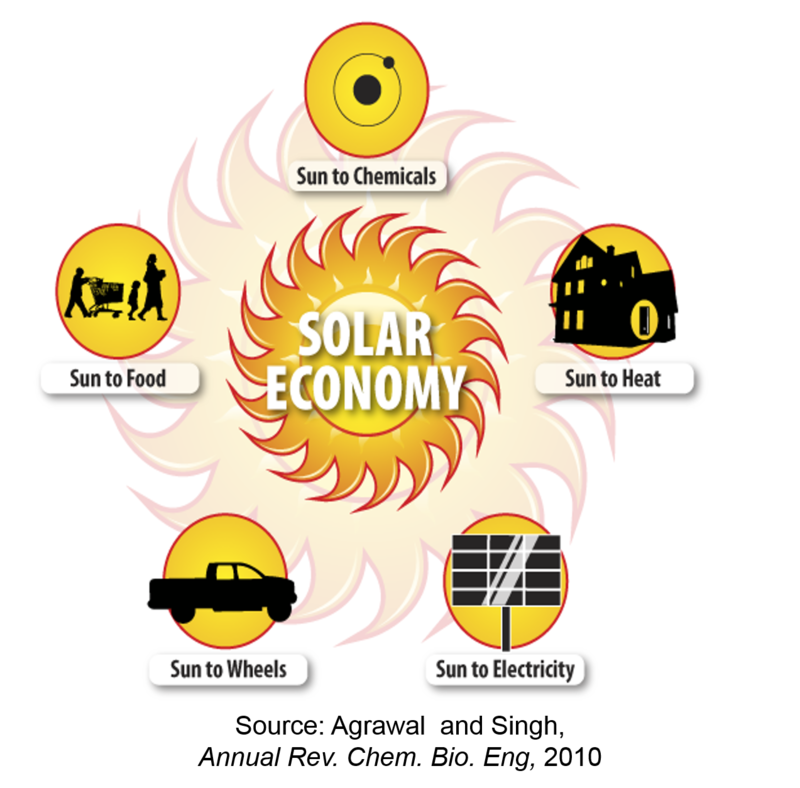 The Solar Energy Group focuses on the fabrication of high efficiency solution processed solar cells. 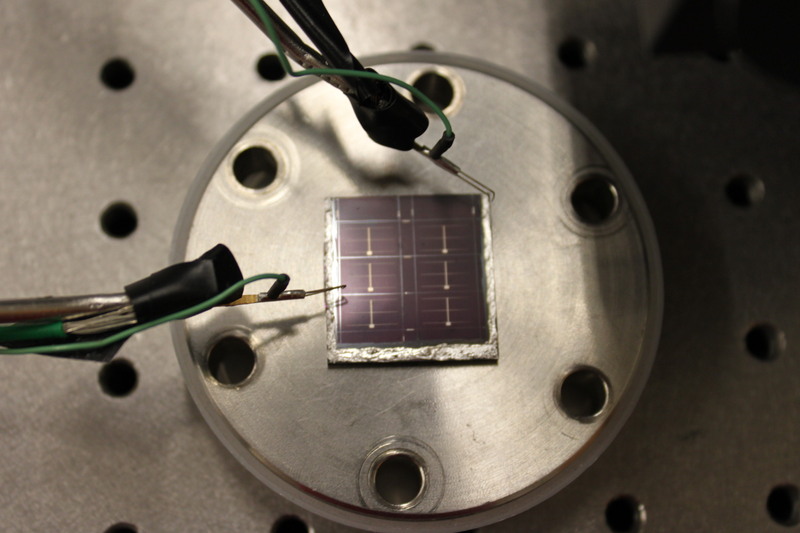 Using colloidal nanoparticle inks or molecular precursors, solar cells can be fabricated from solution based methods such as spin-coating, doctor blading, inkjet printing, or spray coating. 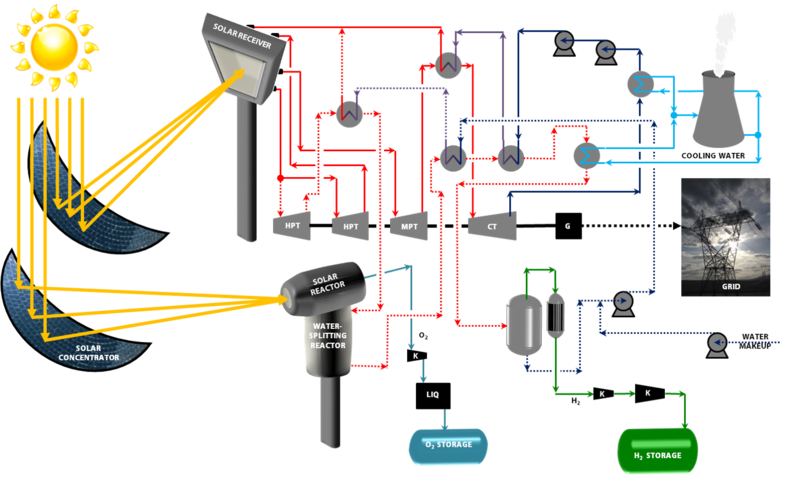 The solution based method forgoes the typical high vacuum needed for semiconductor processing, potentially leading to significantly reduced manufacturing costs. 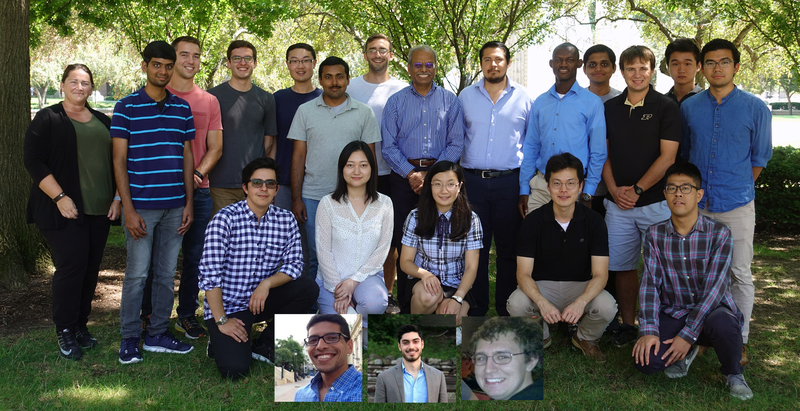 The Energy Systems Group focuses on development and optimization of processes to meet crucial societal needs, such as transportation fuel, chemicals, and electricity, primarily from renewable energy sources to enable a sustainable economy. This group also utilizes modeling to find the role of biofuels vis-a-vis other solar energy derived alternatives to propel an entire transport sector in a solar economy. Additionally work is being done on the efficient conversion of biomass to liquid fuel and maximizing liquid fuel from a given quantity of biomass. The Separations Group focuses on developing efficient separation processes. Currently methods to synthesize and identify energy efficient distillation configurations for multi-component separation are being developed. Additional effort is being devoted to develop optimal methods for membrane separation processes.